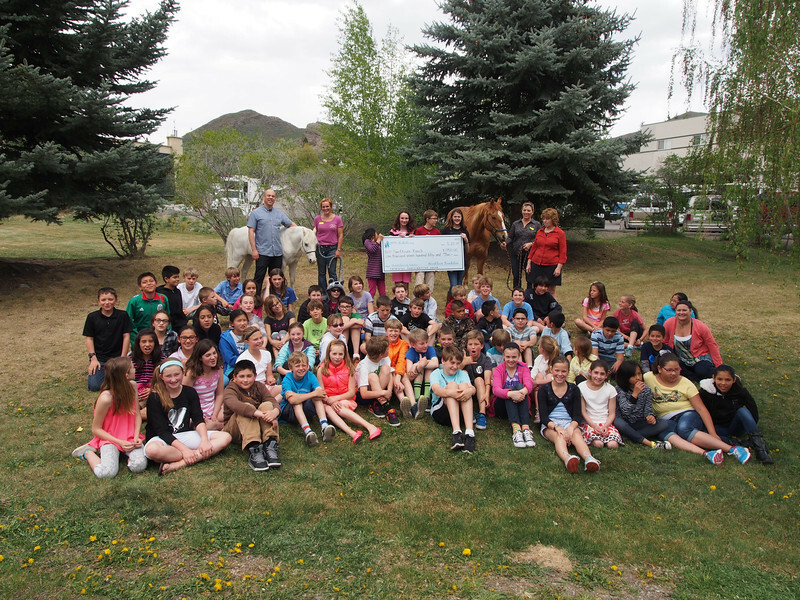 During this sponsorship project, a student or class can sponsor one of Swiftsure’s many horses for the school year. Students will get regular updates from our equine manager, pictures of their horse, and the opportunity to come and help with his/her care which may include feeding, grooming and cleaning the stalls. 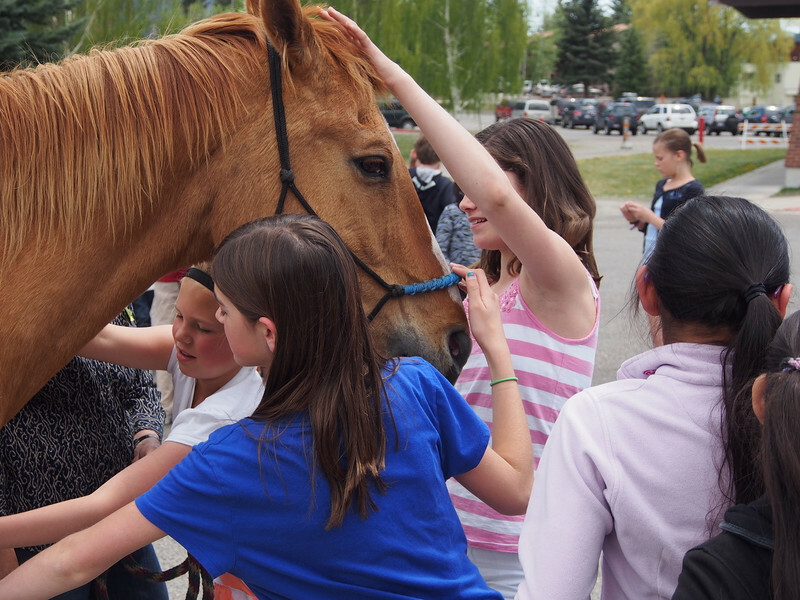 In addition, the student/class will get special recognition in Swifsture publications, and learn about the ins and outs of equine therapy. Swiftsure’s riders range from 2 to 80 years of age with physical, mental or cognitive disabilities. 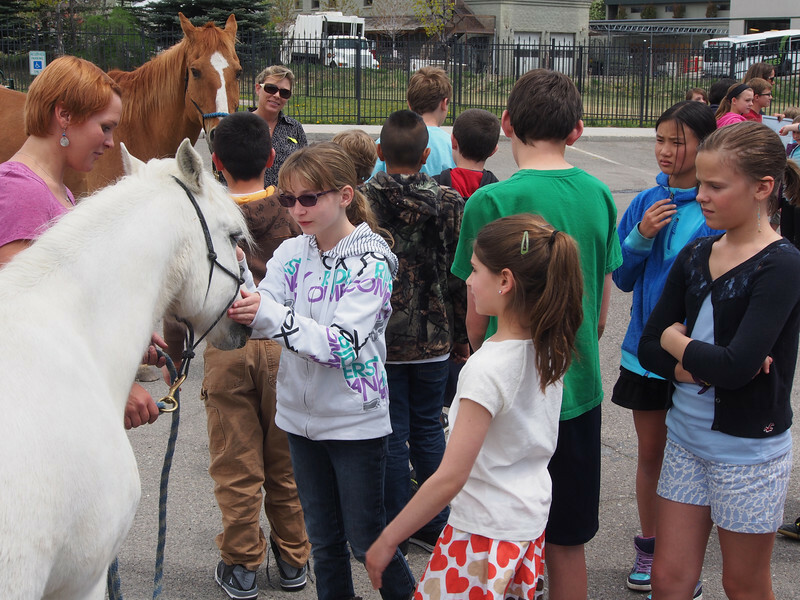 Our teams consist of a certified instructor, volunteer (s) and a horse. Horse’s walking movement is almost identical to the movement of a person. If a person is unable to walk or needs assistance, Swiftsure’s horses help the body move as if it were walking. The horse’s gait is considered for each student and the horse is chosen by the need of the client. A horse with a choppy gait may be well suited for a student who has attention deficit issues because the student has to concentrate to stay on the horse and then can be more attentive to the lesson and the cognitive tasks we have them perform. Many of our students receive therapy in other more traditional settings, but at Swiftsure Ranch, the horses provide a unique and important role that cannot be reached in other settings.